There are certain incomes that are exempt from income tax. If you get your income from these sources, your tax liability will be zero. 1) Dividend from shares and equity mutual fund: If you have invested in the shares of an Indian company, any dividend that you receive is not liable to tax under Section 10 (34) of Income Tax Act. The reason being the company has already paid tax from its own profit. Similarly, dividend income from an equity mutual fund is also exempt from tax. However, if you being an Indian resident have received dividend from a foreign company, it will be taxable. In case the dividend is taxed both in the foreign country and in India, you can claim taxation relief either as per the provisions of Double Taxation Avoidance Agreement (if India has such agreement with that country) or can claim relief as per Section 91, if no such agreement exists. 2) Proceeds received on maturity of life insurance policies: Any sum received under a life insurance policy (including bonus if any) is exempt from tax provided the premium paid to actual capital sum assured does not exceed the prescribed thresholds provided by Income Tax Act. “For policies issued till March 2012, the premium shouldn’t be more than 20 per cent of the actual sum assured. For policies issued from April 1, 2012, the percentage was reduced to 10 per cent of actual sum assured,” says Ms Neha of Nangia & Co. The tax exemption is applicable for endowment policies only, she adds. 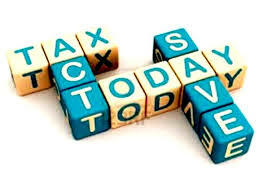 However, if the above conditions are not met, the individual will be liable to pay a tax deducted at source (TDS) at the rate of 2 per cent, if the amount received during the financial year is more than Rs. 1 lakh. 3) Scholarship or grant received: If you have received any scholarship or grant as a student to meet your education cost, it is totally exempted from tax. 4) Interest received from government notified bonds: Interest income that you earn from certain bonds notified by government is exempt from tax. Recently, the government allowed certain public sector companies to issue such tax-free bonds to raise money for infrastructure projects. The interest that you will receive on these bonds will be tax-exempt but if you make any gains by selling these bonds on exchange before maturity, you will have to pay tax on the capital gains. 5) Agriculture income: As per Section 10 (1) of Income Tax Act, agriculture income in terms of rent or from any agriculture produce is exempt from tax. However, the agriculture income will have to be added to one’s total income for the determination of the income-tax slab of the individual, says Neha Malhotra, executive director of taxation at Nangia & Co, a tax advisory firm. 6) Share of profit from partnership firm: If you are a partner in a partnership firm, you will not have to pay any tax on your share of profits. “The share of profit is exempt for the individual partner, if received from a partnership firm which has been subjected to tax on the profits at the partnership firm level,” says Parizad Sirwalla National Head-Global Mobility Services-Tax, KPMG. 7) Interest on Non Resident External (NRE) account: “Any interest received by an individual is exempt from tax until such time the individual is a person resident outside India (PROI) as per Foreign Exchange Management Act, 1999 (FEMA),” says (USE Mr or Ms) Parizad of KPMG.